Facebook is eyeing ways to make its groups easier to discover, encouraging group administrators to add descriptive tags to their groups. 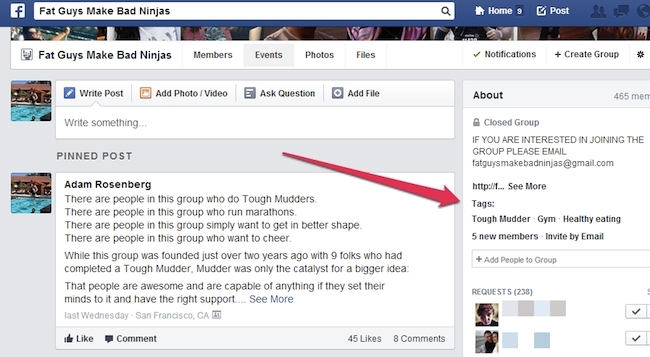 Adam Rosenberg of Edelman Digital shared the screenshots above and below with sister blog Inside Facebook, noting that when users click on tags, lists of similar groups that their friends belong to are displayed. 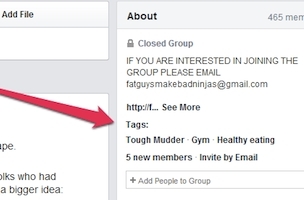 Readers: Have you seen these group tags?